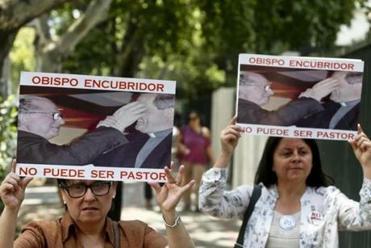 Pope Francis said he needs to see proof that Bishop Juan Barros, shown in Chile on Thursday, helped to cover up abuse. Let the record show that the promise of Pope Francis died in Santiago, Chile, on Jan. 18, in the year of our Lord 2018. When Pope Francis slandered victims of sexual abuse, ironically by accusing those very victims of slandering a Chilean bishop who was complicit in that abuse, he confirmed what some critics have said all along, what I have always resisted embracing: Pope Francis is a company man, no better than his predecessors when it comes to siding with the institutional Roman Catholic Church against any who would criticize it or those, even children, who have been victimized by it. I offer my hearty congratulations to His Holiness, His Eminence, or whatever self-regarding, officious title that his legion of coat holders, admirers, apologists, and enablers insist we, the great unwashed, call him. Because he has revealed himself like no one else could. By saying he needs to see proof that Bishop Juan Barros was complicit in covering up the abuse perpetrated by the Rev. Fernando Karadima, Francis has shown himself to be the Vatican’s newest Doubting Thomas. And it’s not a good look. The pope’s outrageous slander of Karadima’s victims is all the more stunning and disgraceful because the Vatican itself had in 2011 accepted the truth of what those victims said and sentenced Karadima to what it called a lifetime of “penance and prayer” for abusing young people. Sounds like how a previous pope “punished” Cardinal Bernard Law for his dutiful coverup of sexual abuse in the Archdiocese of Boston by putting him in charge of one of the great basilicas of Rome and giving him digs in a palatial apartment where he was waited on hand and foot by servile nuns. Some punishment. Where do I sign up? 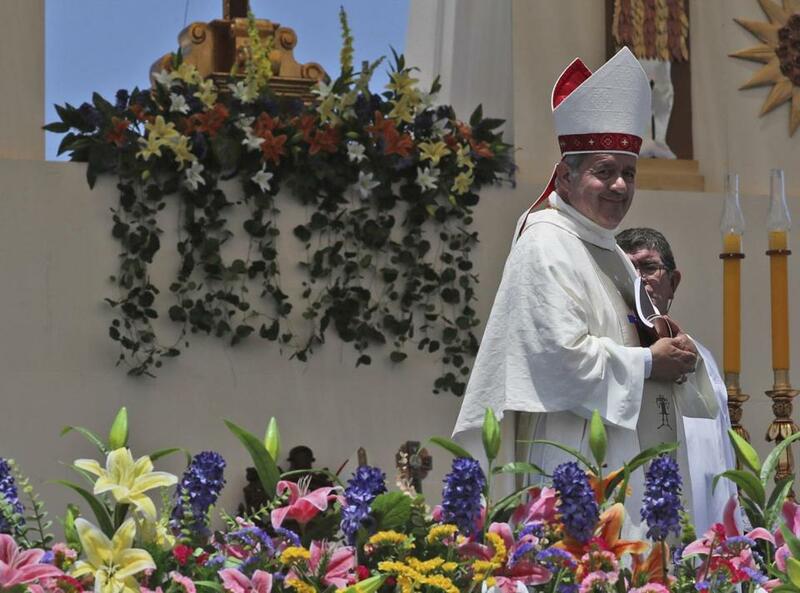 The pope’s remarks drew shock from Chileans and immediate rebuke from victims and their advocates. And just what exactly would constitute the proof that Pope Francis is now seeking, years after the Vatican accepted the claims of Karadima’s victims, who said Bishop Barros facilitated the abuse by refusing to take action against Karadima even though he knew Karadima was a predator? Like others who have been physically assaulted by priests and mentally tortured by the craven complicity and inaction of bishops who are supposed to protect their flock from predators in Roman collars, Cruz has ruefully concluded that Pope Francis is no better than the others. Empty. Good word. Describes what an increasing number of Catholic churches in Chile and in many other countries are becoming. Oh, well, lucky for the Vatican, there are still many places where people are horribly poor, sadly uneducated, and not served by a robust, free press, where deference to the clergy and the majesty of the Vatican is still as thick as the fine robes that some of the worst enablers of sexual abuse hide behind. It should be noted that, for all the talk of Pope Francis cutting a new path for the Catholic Church, he was elected by a conclave of cardinals that included some of those cynical and criminal enablers of abuse, like the disgraced and disgraceful former archbishop of Los Angeles, Roger Mahony. To be honest — and the good Sisters of Providence who taught me at Cheverus School in Malden always stressed the importance of honesty — I knew that Francis was no different, that he was right out of central Vatican casting, last year, when Marie Collins quit the Pontifical Commission for the Protection of Minors that Francis had created to much fanfare. Collins, who was molested by a priest when she was 13, quit the panel because the Vatican was resisting genuine reform. I met Collins years ago in Ireland, where she is from and where I at one time lived, and I think she is a courageous, compassionate person who understands what sexual abuse at the hands of priests can do to one’s soul better than any of the mandarins in the Vatican, including the pope. That commission, headed by the pope’s closest American confidant, Boston’s own Cardinal Sean O’Malley, was allowed to expire last month without an explanation from the same pope who took figurative bows for forming it in the first place. Even Francis acknowledged that Marie Collins is a great lady. Well, he got that right. But it was a bit rich for the pope to portray Collins as some sort of trusted adviser. Collins insists she’s never had a conversation with the pope beyond pleasantries while shaking hands. I guess saying hello to someone constitutes consultation to Pope Francis. No wonder he’s as tone deaf as the others. They talk to each other. They smile and nod at the rest of us. Looking back, it’s kind of funny. Not funny in a ha-ha way, but funny in a sad way. Extremely judgmental and self-righteous right-wing Catholics, who are about as different from Jesus Christ as you can get, almost had aneurysms when, just a few months after his papacy began in 2013, Pope Francis said something remotely enlightened and tolerant about gay people. Remember? “Who am I to judge?” the pontiff said. Right-wingers’ heads exploded over the notion of a pope suggesting that the church’s dogma viewing gay people as “disordered” was perhaps a bit too harsh. Meanwhile, so many people of goodwill, especially lapsed or indifferent Catholics, wanted Francis to succeed that they embraced that little nugget, holding it tightly to their breasts as evidence that this pope was really different, that living amid the incandescent riches of the Vatican had not warped his perspective, his Christianity; that at his core, he was like Jesus Christ, tolerant of all, deeply committed to the poor, his humanity not blurred by dogma or magnificence or infallibility. Well, Pope Francis fooled us. He fooled us all.